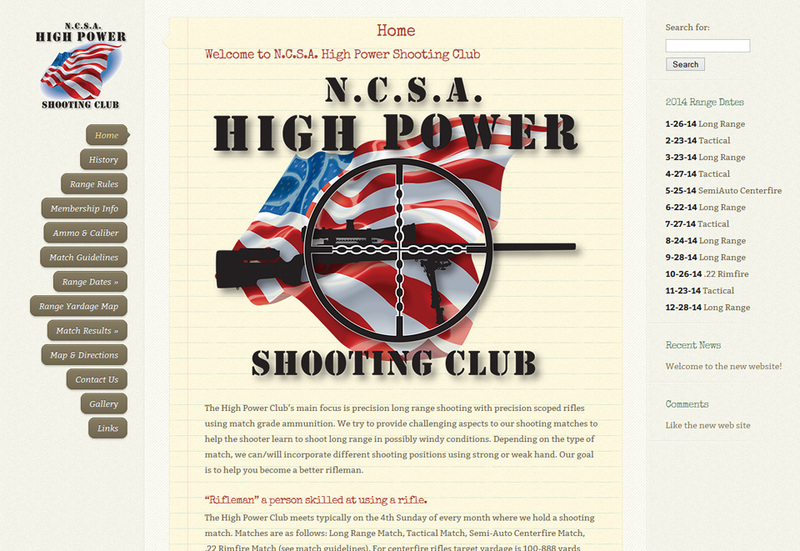 NCSAHighPower.com is the North County High Power Rifle Club’s main focus is precision long range shooting with precision scoped rifles using match grade ammunition. We built their previous site which used a rather primitive ASP based text editor to post new content. This new site is a significant improvement, it is based on the WordPress CMS system and enables them to make edits directly to page content for range dates, event results as well a other content. We built this site to reflect the environment of the out door gun range itself. Paper targets, yellow note pads, the military grey, greens and browns all serve to create an atmosphere familiar to those who like to shoot.